čau “hello” Bratislava! | SimplyBeing. This weekend I went to visit my cousin and his family in Bratislava, Slovakia. It was an amazing weekend! It felt absolutely great to be around family in Europe! Friday, I woke up at 6am because I had to catch a flight at 1pm. I had to find my way to the Brussels-Midi station to take an hour shuttle to the Brussels South Charleroi airport. When I arrived to the Brussels-Midi station I got lost for about 5min looking for the shuttle but I found it by asking someone for help. She showed me on the map I had (map was pretty useless because I couldn’t find any of the street names ._.) a street that was on the opposite direction of where I was. The girl figured that the street would be straight ahead of where we were, which it was, but of course she didn’t know where the shuttle was. Seriously, like half the people I ask for help never know where the exact location of anything is, but I don’t panic anymore when I’m lost in Brussels. I ended up getting to the station with 3 hours to kill. I didn’t want to risk getting lost and missing my flight since I had to take one tram and two trains to find a shuttle that was hidden in the back of the Charleroi station! 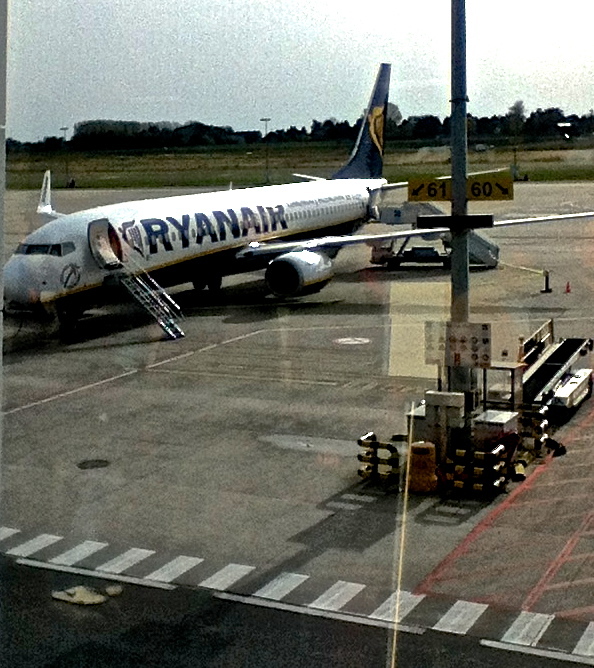 I used Ryanair to get to Bratislava. Honestly, I feel like it wasn’t that bad. I think it was pretty good and I arrived to Bratislava earlier than I expected! I also returned 45min ahead of schedule! They didn’t even charge me to use the bathroom like someone told me Ryanair would, and if you just put on your iPod you can block the flight attendants out while they try to sell you stuff. 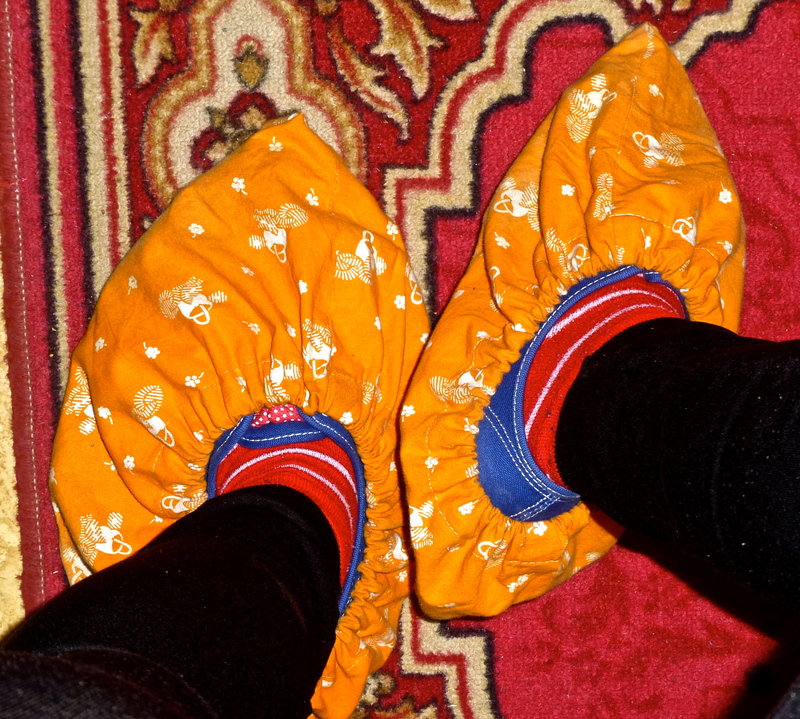 Ryanair did not overwhelm me at all. I would use Ryanair again if I had too. My cousin was able to show me Bratislava in one afternoon/night! 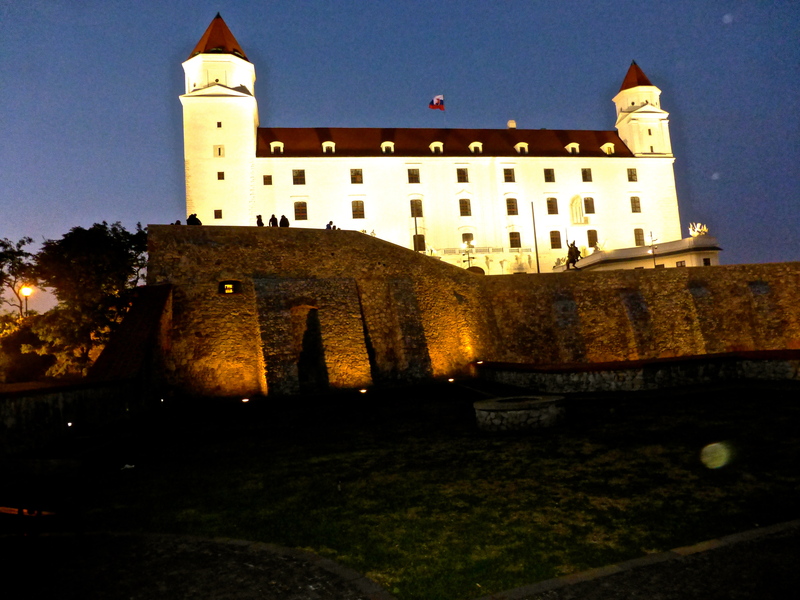 First, he took me to the Bratislava Castle! A beautiful castle with an amazing view of Bratislava and Vienna! We also visited Slavín a monument dedicated to the Soviet Soldiers who fell during WWII. 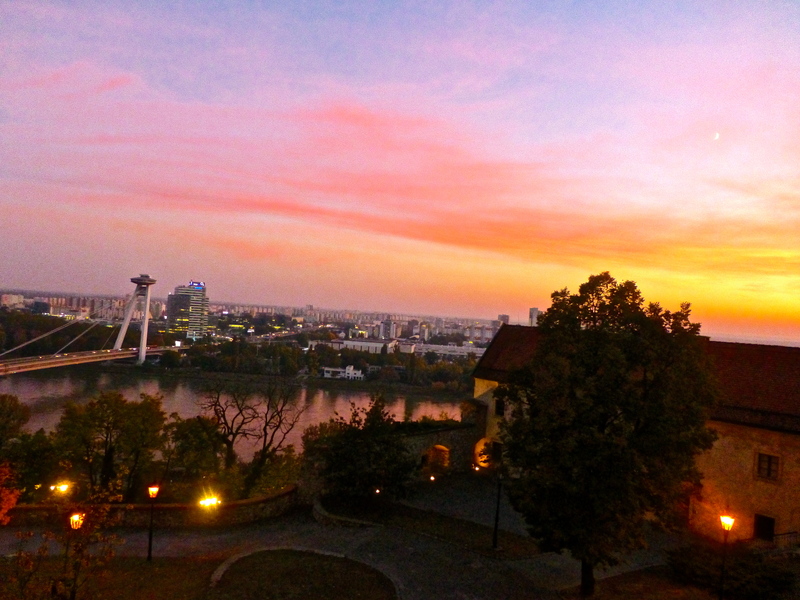 It also has an amazing view of Bratislava! 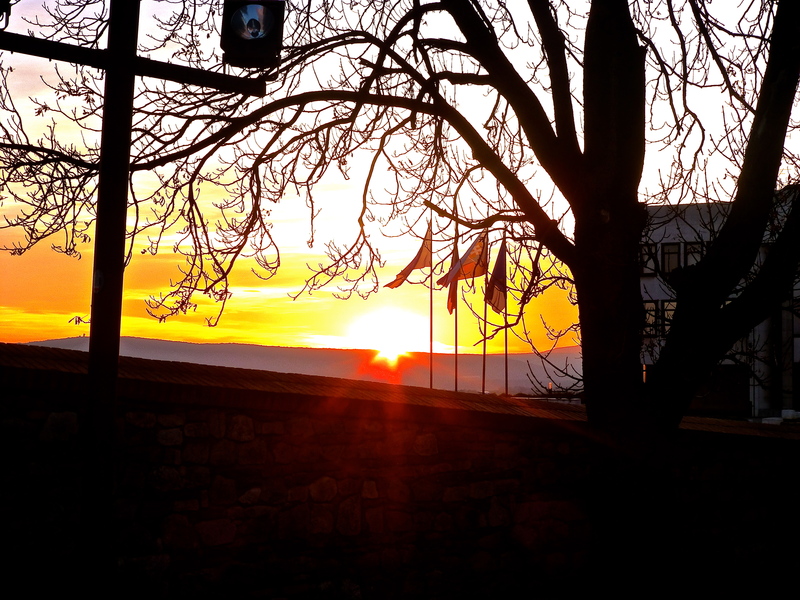 The scenery from afar in Bratislava is absolutely beautiful! Afterwards, my cousin and I met up with one of his friends from work for a couple of drinks and a night out around the city. We ate a traditional meal from Bratislava. Apparently beef and potatoes are very big there. I was so happy to eat some beef! Yum! 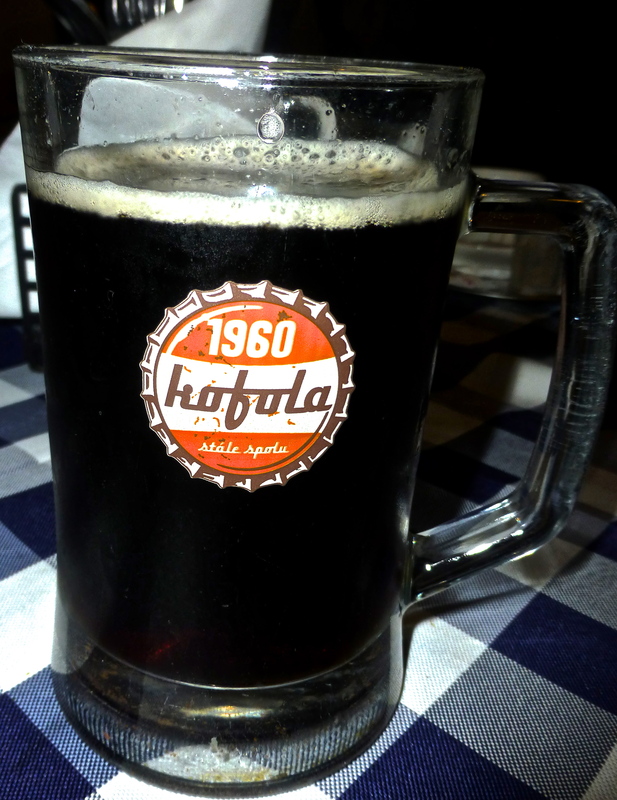 At the restaurant we went too I also tasted Kofola, a soda from Czech Republic. It tasted like Cola flavored tea. I liked it though very unique taste. Then off we went to Old Town Bratislava. It was a very beautiful part of the city. It is where most of the night life takes place. We went into a pub where the workers were dressed in traditional clothing. It was such a nice place! 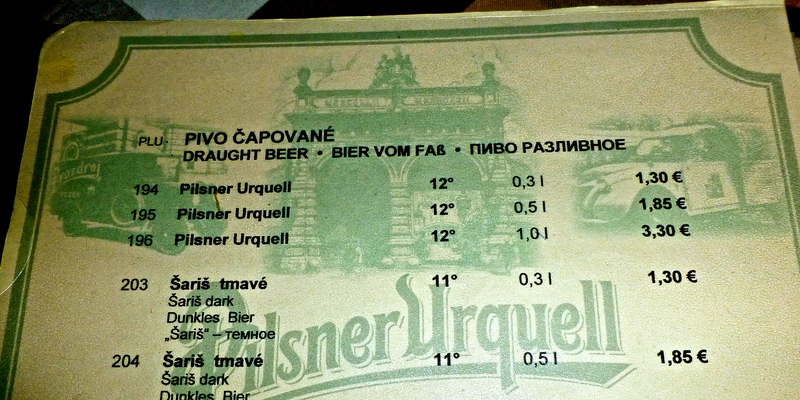 I was shocked to see that the cheapest beer was 1.30 Euros! In Brussels the cheapest beer is 2.50 Euros! Woah! I was submerged in Slovak language the entire weekend and learned how to say Thank You “ďakujem.” I tried to pronounce many of the words but they were just too hard! Overall, I had an amazing time in Bratislava! 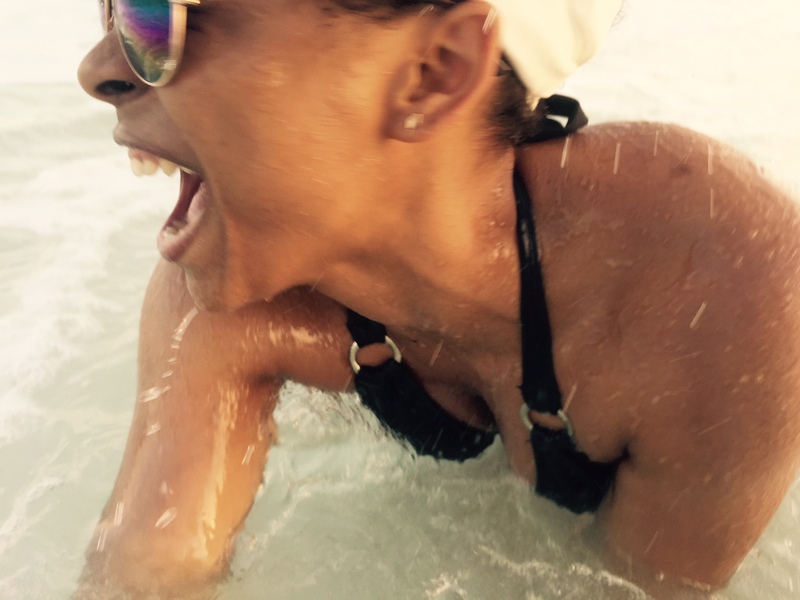 I got to experience a great deal of culture in such a small amount of time! Saturday, Vienna was another awesome experience! This entry was posted in Semester in Belgium, Travels and tagged abroad, adventure, Belgium, Bratislava, brussels, college, Europe, experiences, journey, photographs, sightseeing, Slovakia, study abroad, travel, traveling on October 21, 2012 by SimplyTiff.